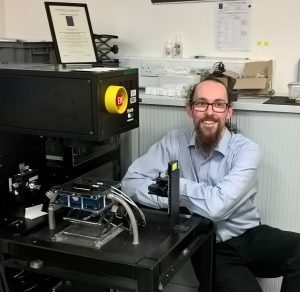 As part of the targeted support offered to the UK solar PV research community by the SuperSolar Hub, in March 2019 CREST hosted a one-day technical workshop for SuperSolar Associate members, in order to demonstrate services available at the CREST PV Measurement and Calibration Laboratory (CPVMCL), located at Loughborough University. The United Kingdom Accreditation Service (UKAS) schedule at CPVMCL covers measurements made on solar cells, full-size PV modules and pyranometers. CREST has held the accreditation under ISO 17025 since 2016. The offering for research cells includes measurement of I-V curves and Spectral Responsivity measurements. CPVMCL is the only UK facility that can provide cell efficiencies for the NREL Best Research Cell Efficiency Chart. This service is currently provided free to SuperSolar Associate members and offers independent third-party verification of compliance by UKAS, including assurance to users that lab competence and practice meet internationally specified levels. All measurements are traceable to SI units, with the lowest measurement uncertainties in the UK. Nine researchers from universities across the UK (Cardiff, Huddersfield, Sheffield and Warwick) took advantage of this opportunity to learn more of the capabilities of the CPVMCL. The technical team at CPVMCL guided delegates through issues surrounding the growing importance of measurement accreditation in the PV research community and demonstrated the measurement facilities available, illustrating how the team work closely with sampler providers to maximise the benefits of the service to the user. Click here to find out more about CPVMCL. Click here for more detail on the measurement services on the CREST website.